E3 doesn’t stop Destiny resets. Bungie has performed the weekly server reset in Destiny, refreshing your Nightfall strike, Court of Oryx bosses, and making some changes to Prison of Elders. Weekly Nightfall: This week’s strike is Fallen S.A.B.E.R. with modifiers Fresh Troops, Match Game, Airborne, and Catapult. Fresh Troops increases the number of enemies in some squads. Match Game requires you to only use match elemental damage to enemies shields to take them down. Airborne grants you bonus damage while in the air. Catapult greatly increases grenade recharge rate. Kagoor is the Tier 3 boss this week. You must damage the eyes to be able to take down the Ogres, which then open up the boss for attacks. There are a number of ways you could earn Sterling Treasure chests each week. You get a free one by paying a visit to the Postmaster. 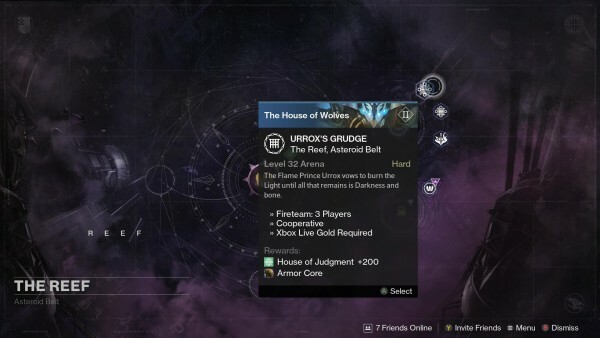 You can get two other guaranteed ones, one after finishing a level 41 Prison of Elders run, and another after completing a match in the weekly Crucible playlist. You can learn more about Sterling chests at the link. Golgoroth is your target this week in the raid. You can read on for tips on how to defeat him, or watch this helpful video.